There are two ways to add a new issue as a child issue. 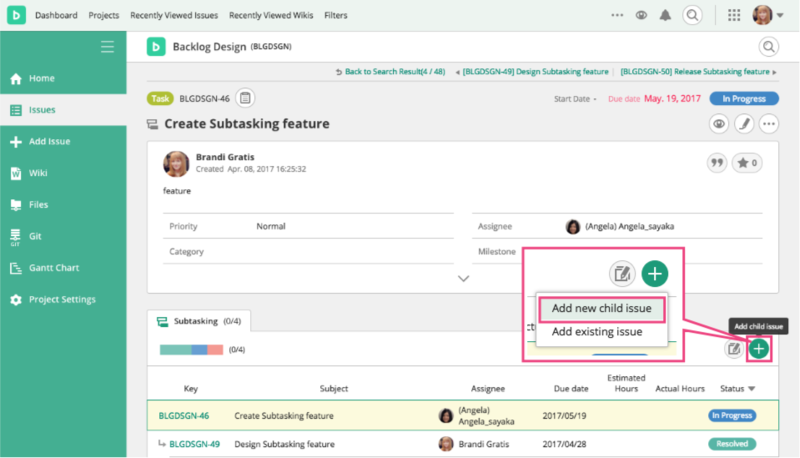 Expand the “Subtasking” section below the issue description and click the "Add new child issue" button. The issue added on this page will become a child issue for this issue. Click the "Add Parent Issue" link above the issue detail section, then put the parent issue key in the field. You also can choose the parent issue from the list of existing issues by pressing the "Browse" button. There are two ways to set an existing issue as a child issue. 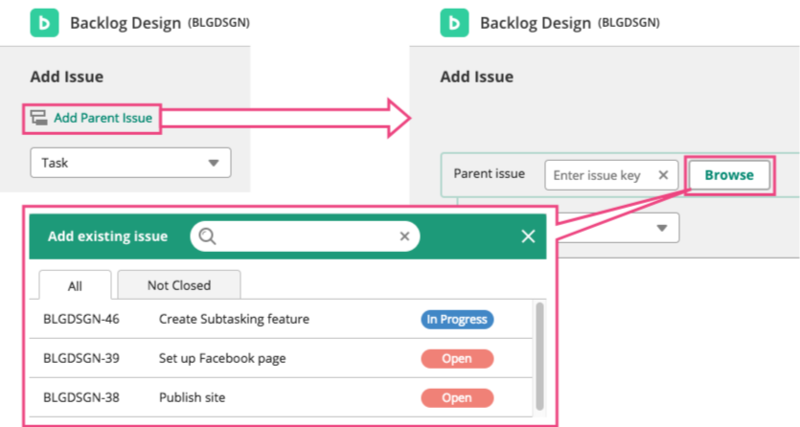 Expand the “Subtasking” section below the issue description and click the "Add child issue" button. Then, choose "Add existing issue" from the menu. The selected issue on this page will become a child issue for this issue. Open the "Edit issue" page by clicking the "Edit" link above Details section of the "Show issue" page. Click the "Add parent issue" link on the top of the page, then put the parent’s issue key in the field. You also can choose the parent issue from the list of existing issues by pressing "Select parent issue" button.